Bonnie Bishop On World Cafe : World Cafe The Nashville singer's inner Dusty Springfield comes out on her newest album, Ain't Who I Was. Hear her perform three songs live in the studio. 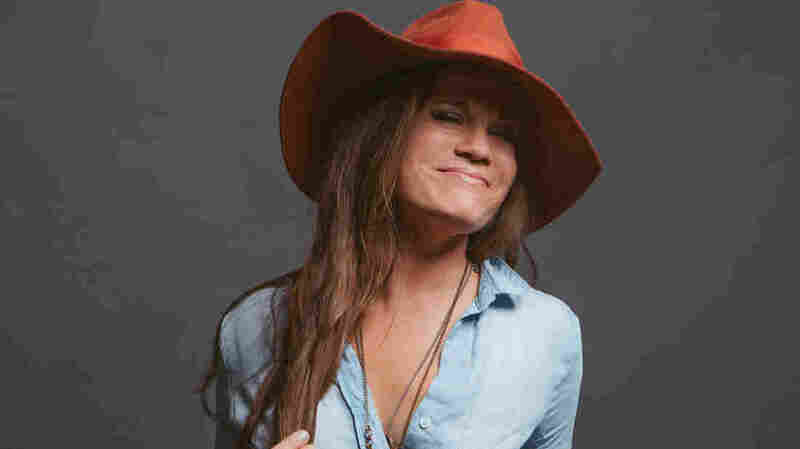 Nashville singer-songwriter Bonnie Bishop's career received a major boost when Bonnie Raitt recorded two of her songs — one on Slipstream, the other on Raitt's new album Dig In Deep. Still, that wasn't enough to completely convince Bishop that the years of touring through small clubs, living on hope alone, were worth it. The country singer temporarily gave up her dream of being a musician; she moved to Texas, sold her van and worked toward a degree in creative writing. But then, Bishop got a call from superproducer Dave Cobb, who heard something especially soulful in her voice. They worked together on the album Ain't Who I Was, which finds Cobb drawing out Bishop's inner Dusty Springfield. As you'll hear in this session, her songs have never sounded better.